Helen Keller once said, “Blindness separates people from things; deafness separates people from people.” Untreated hearing loss often leads to breakdowns in communication causing strain in our most important relationships. 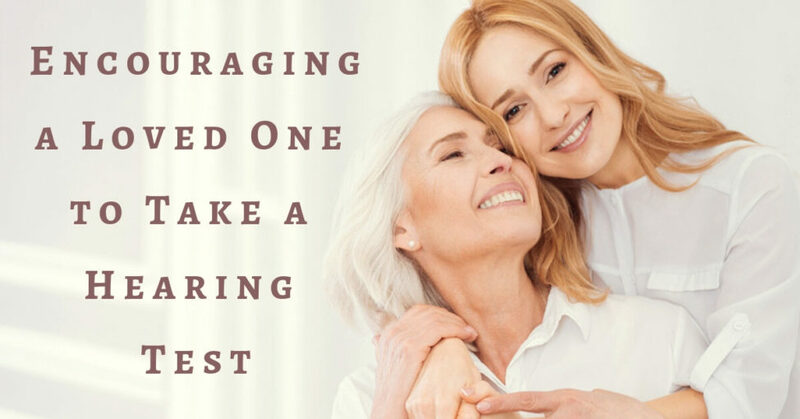 It is often difficult to bring up hearing loss with a loved one. While hearing loss is the third most common medical condition in the United States – affecting people of all ages – there is still taboo surrounding it, especially when it comes to aging. People who experience hearing loss may not be aware of it, because it happens gradually over many years. Many people learn to adjust their behavior or avoid situations, or even blame others for “mumbling” rather than recognizing that they might have experienced changes in their hearing abilities. Hearing loss can have a significant impact in more ways than one. Hearing is essential for communication and it also influences work ability and productivity, so finding the right solution is dire to being an active and successful member in society. They tire from straining to hear conversations. When it comes to addressing hearing loss, the most important first step is to take a hearing test. Hearing tests may seem daunting, but they are a painless and quick procedure that requires very little on their part. Hearing test results are recorded in an audiogram, which gives a visual representation of hearing abilities by ear. If a hearing loss is detected, our team at All Ear Doctors will work with you to formulate the next steps. Offer your loved one support through this process and assure them that they do not have to go through it alone. Are you ready to schedule a hearing test? Contact us at All Ear Doctors today for a consultation.